Some dogs and cats may be accepted subject to certain restrictions, limitations, and requirements. Breed restrictions, additional non-refundable fees, and monthly pet rents apply. There is a maximum of two (2) pets total permitted per apartment home. Please contact the property for details. Full Pet Policy. VERDE is a smoke-free neighborhood. Smoking is prohibited within your apartment home, on your outdoor deck or balcony, in common hallways, in elevators, in lobbies, in common areas, outside building, in parking lots, and in garages. In short, smoking is prohibited everywhere on the VERDE property. As a Verizon Enhanced Community, your apartment home is equipped with Verizon FiOS® services, including super-fast Internet and crystal-clear TV, delivered over the Verizon FiOS® 100% fiber-optic network. VERDE is a Verizon Enhanced Community. The VERDE community has negotiated bulk-purchase services with Verizon so that upgraded service can be enjoyed by residents at a rate that saves them money. Verizon FiOS® Bundled Services are billed to VERDE residents at a rate of $90.00 per month (in addition to monthly rent). VERDE residents will also be required to establish an account with Verizon individually to secure their individual equipment. VERDE residents will have access to a dedicated Verizon account representative in establishing their account. VERDE residents may then opt to add services (such as voice), upgrade services, upgrade or additional equipment, add premium channels, order video-on-demand programing, and order pay-per-view programing. VERDE residents will be billed monthly directly by Verizon for any added services and equipment, upgraded services and equipment, or on-demand or premium programming services on a monthly basis which is over and above the standard VERDE inclusion. Electric is provided by PPL Electric Utilities. Residents of VERDE will need to establish their own individual accounts prior to moving into their home with PPL Electric Utilities directly. This can be done by either calling PPL Electric Utilities at 1-800-342-5775 or by using their website. Natural gas is not available within individual apartment homes in the VERDE neighborhood. 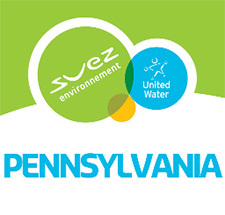 Public water service is provided to VERDE by United Water – Pennsylvania, a public water utility. The VERDE community has negotiated bulk-purchase services with United Water so that quality water can be enjoyed by residents at a rate that saves them money. Each apartment home will be individually metered to accurately determine water usage, and each resident will be billed for the water they use. VERDE is provided Public Sewer service by Hummelstown Borough. VERDE is provided with Trash & Recycling service on a private contract that is negotiated annually. Both Public Sewer and Trash & Recycling costs are included in the monthly rent billed to VERDE residents. Renter’s Insurance covers a resident’s personal belongings if they are stolen or damaged. Renter’s Insurance also provides liability protection if a resident causes damage to the property or a resident causes someone else to suffer injuries. Renter’s Insurance also covers a resident’s living expenses if an apartment home is uninhabitable because of certain disasters, such as fire. A resident will be required to provide proof of Renter’s Insurance coverage prior to moving into the VERDE neighborhood including a certificate naming specific parties as an additional insured party. Additionally, proof of Renter’s Insurance renewal / continuation shall be required if a resident renews a lease for additional future years. If you do not currently have Renter’s Insurance, or if you’re current Renter’s Insurance is provided by an out-of-state provider not licensed for issuing policies within the Commonwealth of Pennsylvania, a VERDE Leasing Specialist can help put you in contact with parties who can help you with this matter. Your lease payment is due the 1st of each month. If it is received after the 5th of the month, there will be a fifteen (15%) late fee assigned to your account. However, VERDE does offer convenient auto-pay as a free rent payment option. VERDE also accepts credit cards for an additional service charge. Rent not received by the 5th of the month is late and will incur a late fee of fifteen percent (15%) of the total amount due. The door of your apartment home will be posted with a notice of late rent on the 6th of the month. Residents will also be charged a $50.00 fee on top of the late fee the first time a check is returned for non-sufficient funds (NSF). A second NSF will result in a $100.00 fee on top of the late fee. A third NSF will result in a $200.00 fee in addition to late fees, as well as a requirement that the resident enroll in VERDE’s automatic pay system and/or utilizes credit cards for payments. NO MORE CHECKS WILL BE ACCEPTED AFTER THE THIRD NSF. If rent, late fees and/or non-sufficient fund charges are not received on or before the 15th of the month, then eviction proceedings will commence, and resident will also be responsible for all related court cost, filing fees and eviction cost. VERDE does offer the option of signing up for an automatic monthly rent withdrawal program as well as accepts credit cards (with an additional service charge) for payment.